The final evolution of the DB2 sports car, which was introduced in 1950, took the form of the DB2/4 Mark 3, production of which ended in 1959. 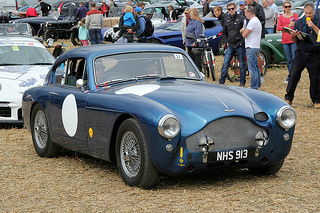 Although based on the DB2, the two seater Aston Martin DB3, launched in 1951, was the pure racing variant of which, by 1953, a total of ten cars had been built. The first five racers were allocated as works cars, whilst the remaining five were sold into the open market. 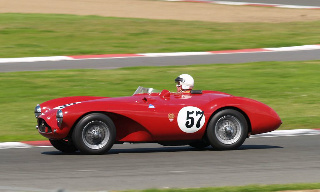 Its racing debut was the 1951 Tourist Trophy, during which it was forced to retire. 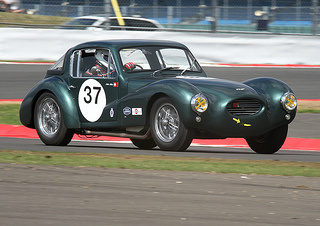 In 1952, works DB3's, fitted with the 2.6 litre engine, finished second to fourth at Silverstone against stiff competition from Ferrari and Jaguar's C-Type. 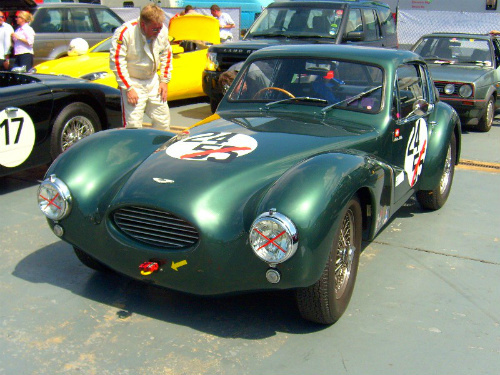 In all, the DB3 sports car was unsuccessful on the track since, in most cases, it was forced to retire for any number of reasons. 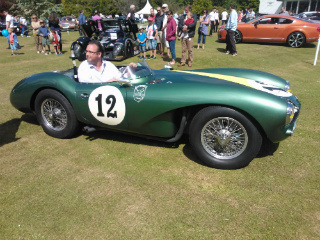 The cars only major victory for Aston Martin was the 1952 Goodwood 9 Hour race. The early DB3 was powered by a 2.6 litre, DOHC, straight six engine, as fitted to the DB2 Vantage, that developed 140 bhp at 5200 rpm, and produced a top speed of 131 mph, with 0-60 mph in 8.6 secs. With a compression of 8.2:1, it was fitted with a five speed manual David Brown gearbox, had drum brakes all round, and an aluminium body on a tubular steel chassis. However, it was soon found that the 2.6 litre unit was inadequate and, in mid 1952, it was replaced by the larger 2.9 litre engine, which produced 165 bhp. A small number of DB3's were also produced as a coupe variant. Due to its weight, the DB3 turned out to be uncompetitive. However, introduced in 1953, the two seater DB3S sports car was the lightweight version of the DB3, fitted with a shorter wheelbase and lighter chassis. By the time production ended in 1956, a total of 31 DB3S's had been built, of which 11 were the works variant (as two fixed head coupes and 9 open tops), with the remaining 20 being sold to customers (as 3 fixed head coupes and 17 open tops). The coupe variant was more aerodynamic and with lower drag than the open top, and so produced a higher top speed. Unfortunately, it tended to be less stable at high speed, resulting from additional lift. In 1954, both works coupes were fitted with 225 bhp engines, which were then modified, by the addition of a supercharger, to develop an additional 15 bhp. However, instability caused both cars to crash in that years Le Mans. 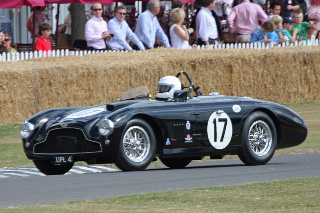 Reverting back to the open top variant, the DB3S scored a second placing in both the 1955 and 1956 Le Mans 24 Hour, with Stirling Moss at the wheel in the latter race. 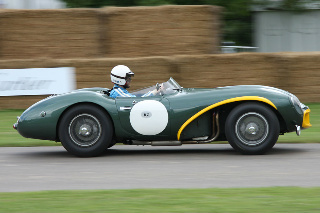 The DB3S was succeeded by the enigmatic DBR1, which was victorious at Le Mans in 1959. The 2.9 litre, DOHC, straight six now developed 210 bhp at 6000 rpm, and produced a top speed of 145 mph. With a compression of 8.7:1, it was fitted with a manual close ratio four speed David Brown gearbox, three Weber twin choke carburettors, disc brakes all round, and its aluminium body produced a curb weight of 914 kg. 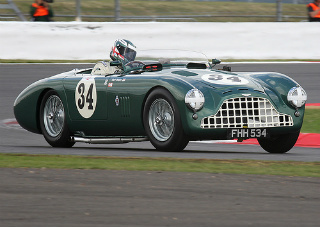 One of the DB3S's was placed at auction with a value in the region of $4m.